Congratulations to all of our ALP students on receiving funding for internships, and special opportunity grants in past summers and academic year periods! Please note that any interns listed below are considered Catherine Filene Shouse Fellows. All ALP current students and alumni are eligible to apply for summer funding, which can provide the individual with up to $3,000 to further explore professional areas of interest that are in synch with the goals of ALP. Funding is distributed based on the strength of the application and a number of other factors. Funding will next become available for Summer 2020 in Spring 2020. Read more about how to apply for funding and deadlines here. ALP current students are eligible to apply for paid academic year internships. The Internship Program places ALP certificate candidates in internships designed to expose them to extra-musical tools and information that can only be learned in practical, “real world” settings. Benefits to the student include the cultivation of self-management skills and an awareness of the current climate for the arts in America. Those who participate in an internship will be better able to achieve their full potential as leading composers, performers, scholars, teachers, arts managers, and advocates of music of quality. Read more about ALP academic year internships here. Sarah Forestieri received funding to attend the National OPERA America Conferece in San Francisco, CA in June, 2019. All ALP current students are eligible to apply for special opportunity grants, which can provide the individual with up to $1,500 to further explore professional areas of interest that are in synch with the goals of ALP. Typically these opportunities include attending conferences or shadowing performers or arts leaders and cover expenses associated with travel and conference fees. Funding is distributed based on the strength of the application and a number of other factors. Read more about how to apply for funding and deadlines here. All ALP current students and alumni are eligible to apply for summer funding, which can provide the individual with up to $3,000 to further explore professional areas of interest that are in synch with the goals of ALP. Funding is distributed based on the strength of the application and a number of other factors. Funding will next become available for Summer 2019 in Spring 2019. Read more about how to apply for funding and deadlines here. Benjamin Guerrero received funding to attend the NAfME (National Association for Music Education) Collegiate Advocacy Summit in Washington, DC in June, 2018. Matthew Nedvin received funding to attend the NAfME (National Association for Music Education) Collegiate Forum and National Conference in Dallas/Grapevine, TX in November, 2018. All ALP current students and alumni are eligible to apply for summer funding, which can provide the individual with up to $3,000 to further explore professional areas of interest that are in synch with the goals of ALP. Funding is distributed based on the strength of the application and a number of other factors. Funding will next become available for Summer 2018 in Spring 2018. Read more about how to apply for funding and deadlines here. Hattie Bestul received funding to attend Hack Music LA in Los Angeles, CA in October, 2017. Catherine Cole received funding to attend Alexander Technique Winter Workshop in Columbus, OH in December, 2017. Congratulations to ALP alum Mike Forfia! Mike, who will be based in New York, NY, was awarded ALP post graduate funding for his role as Programming & Media Intern at Saint Peter’s Lutheran Church for the 2016-2017 academic year. Mike receives his MM degree (Jazz Studies and Contemporary Media/ Performance, Doublebass) and Arts Leadership certificate from Eastman in 2016. Mike completed Arts Leadership Program internships during the summer of 2015 with Christian Howes/ Creative Strings and during the academic year with the University of Rochester University Health Services as their UR Health intern with a focus on health for musicians. He also was the recipient of a Special Opportunity Grant providing funding for him to attend the 2015 American String Teachers Association Conference in Salt Lake City, UT, in March 2015. He is also the first-prize winner of the 2015 Scott LaFaro jazz bass competition, and will present a recital for an audience of over 1000 bassists to kick off the International Society of Bassist’s 2017 convention. You can read more about Mike on his website here. As a bassist, composer and educator, Mike’s “aim is to present media that evokes a passion for social change.” The jazz ministry at the church “possesses elements critical for affecting social change: a clear humanitarian vision, diverse programming, and the infrastructure to support their mission.” Mike will be working with ALP alum Ike Sturm, Music Director of Jazz Ministry at Saint Peter’s, also known as “The First Church of Jazz.” In his internship role, Mike will help to advance current and new initiatives in jazz programming, education, and local and global outreach efforts “through producing audio/visual media and providing programming support.” This includes “conducting interviews with artists and community leaders for use in weekly jazz programming and larger initiatives including weekly jazz vespers service, Jazz on the Plaza, Midday Jazz at Midtown, The Duke Ellington Society” and many more. All ALP current students and alumni are eligible to apply for summer funding, which can provide the individual with up to $3,000 to further explore professional areas of interest that are in sync with the goals of ALP. Funding is distributed based on the strength of the application and a number of other factors. Funding will next become available for Summer 2017 in Spring 2017. Read more about how to apply for funding and deadlines here. Matthew Burg attended Adobe MAX, The Creativity Conference in San Diego, CA In November, 2016. Caitleen, who will be based in New York, NY, was awarded ALP post graduate funding for her role as Administrative and Operations Assistant for Musicambia for the 2015-2016 academic year. Caitleen received her MM degree (Performance and Literature, Voice) and Arts Leadership certificate from Eastman in 2015. Caitleen completed Arts Leadership Program internships during the academic year with ROC Music Collaborative as their Volunteer Coordination and Student Engagement intern. She also was Development Intern in Individual and Institutional Giving for Symphony Space in NYC in the Summer of 2014. Caitleen is Founder and Artistic Director of SoundWave Milwaukee, an organization which performs multi-disciplinary concerts for the community. Musicambia is a New York based initiative establishing a network of creative music conservatories within the prisons and jails of the United States. Building on her ALP coursework, her experience with previous ALP internships and SoundWave Milwaukee, Caitleen hopes to gain additional experience with Musicambia’s community-based music education program in order to achieve her ultimate goal of establishing her own El Sistema USA initiative. Caitleen’s responsibilities will include developing a social media presence, coordinating with collaborating organizations (Including Carnegie Hall and State Correctional facilities), attending and participating in work with incarcerated people, and assisting in development/grant writing/fundraising initiatives and events. All ALP current students and alumni are eligible to apply for summer funding, which can provide the individual with up to $3,000 to further explore professional areas of interest that are in sync with the goals of ALP. Funding is distributed based on the strength of the application and a number of other factors. Funding will next become available for Summer 2016 in Spring 2016. Read more about how to apply for funding and deadlines here. Rachael Sanguinetti attended the Americans for the Arts 2015 Annual Convention in Chicago, IL, in June 2015. Eric Laprade attended the Midwest Clinic Annual Conference in Chicago, IL, in January 2016. Lisa Nickels completed a shadowing/observation of the Houston Symphony’s Community-Embedded Musicians Program in Houston, TX, in April 2016. Garret Reynolds attended the Virtual Reality Developer’s Conference, a subset of the Game Developer’s Conference, in San Francisco, CA In March, 2016. NEW! – Click here to read the interview with Drew Worden discussing more details about his involvement with UHS. Congratulations to ALP alumni Andrew Worden! Drew, who will be based in Rochester, NY, was awarded ALP post graduate funding for his role as UHS Health Promotion for Musicians Intern/Specialist for the University of Rochester University Health Services (UHS) for the 2014-2015 academic year. Drew received his MM degree (Performance and Literature, Percussion) and Arts Leadership certificate from Eastman in 2014. In his time at Eastman, Drew completed Arts Leadership Program internships during the academic year with UHS, and a summer internship with Third Coast Percussion in Chicago. Drew is co-founder of the group Erasable Color, and was a finalist with the Eastman Institute for Music Leadership’s New Venture Challenge in 2014. 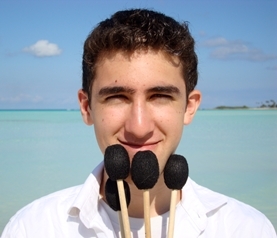 He was Co-artistic director of Sound ExChange in 2013-2014, and has participated in a number of summer percussion programs including the SO Percussion Summer Institute. With UHS, Drew’s responsibilities will build on some of the projects he became involved with in the previous year. He will continue to work with UHS Physical Therapists, doctors and health promotion administrators to develop wellness practices and appropriate distribution channels for musicians. These will include a mobile app called “The Healthy Musician,” an online occupational health and safety learning environment for music students eBook, and a second mobile app called “MuMo Screen.” This will be a predictive musician’s movement screening tool, utilizing the photo and video capabilities of a smartphone or table to aid musicians in recognizing potentially at-risk situations and incorporating intervention strategies into a daily routine. All ALP current students and alumni are eligible to apply for summer funding, which can provide the individual with up to $3,000 to further explore professional areas of interest that are in sync with the goals of ALP. Funding is distributed based on the strength of the application and a number of other factors. Funding will next become available for Summer 2015 in Spring 2015. Read more about how to apply for funding and deadlines here. Hana Abrams attended the 2014 Opera America conference in San Francisco, CA, in June 2014. Andrew Worden attended the 2014 Performing Arts Medicine Association Symposium in Snowmass, CO, in June 2014. 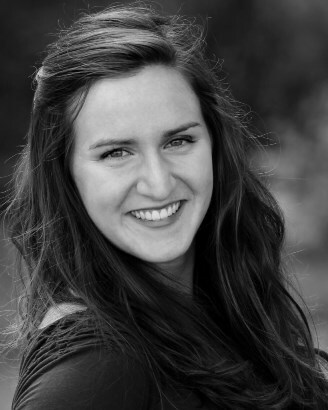 Bridget Kinneary attended the 2014 Midwest Clinic in Chicago, IL, in December 2014. Ainsley Kilgo attended the 2015 Association of Performing Arts Presenters conference in New York, NY, in January 2015. Steven Humes attended the 2015 National Opera Association Convention in Greensboro, NC, in January 2015. Michael Forfia attended the 2015 American String Teachers Association Conference in Salt Lake City, UT, in March 2015. He also began work on a marketing internship with Christian Howes, jazz violinist, who he also plans to work with in the summer. Congratulations to ALP alum Carson Moody! Carson, who will be based in New York, was awarded ALP post graduate funding for his role as Development Coordinator and Web Education Project Manager for Ensemble Signal for the 2013-2014 academic year. 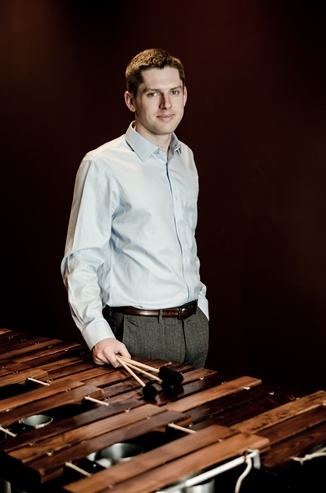 Carson received his MM degree (Performance & Literature, Percussion) and Arts Leadership certificate from Eastman in 2013. 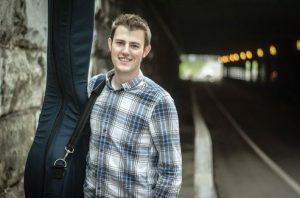 In his time at Eastman, Carson completed Arts Leadership Program internships during the academic year with Ensemble Signal, and a summer internship with JACK Quartet. With Ensemble Signal, Carson’s responsibilities will include key development duties including grant writing throughout the Ensemble Signal 2013-2014 season. He will also play a large role in researching, developing and managing the launch of Ensemble Signal’s Web Education channel. Congratulations to ALP alum Peter Ferry! Peter, who will be based in Chicago, was awarded ALP post graduate funding for his role as Administrative & Artistic Intern for Alarm Will Sound for the 2013-2014 academic year. Peter received his BM degree (Applied Music, Percussion) and Arts Leadership certificate from Eastman in 2013. In his time at Eastman, Peter completed Arts Leadership Program internships during the academic year at the Eastman Office of Communications, and a summer internship for the percussionist Colin Curie. With Alarm Will Sound, Peter’s responsibilities will include organizational and artistic administration, communication, fundraising, production and audience experience tasks throughout the Alarm Will Sound 2013-2014 season. He will also play a large role in Alarm Will Sound’s efforts to build a significant presence in St. Louis. Congratulations to ALP alum Melissa Birkhold! Melissa, who will be based in Baltimore/Washington DC, was awarded ALP post graduate funding for her role as a Development Intern for Americans for the Arts for Fall 2013. 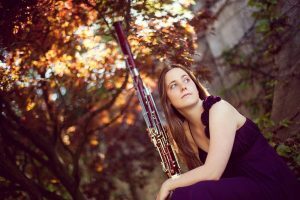 Melissa received her MM degree (Performance & Literature, Bassoon) and Arts Leadership certificate from Eastman in 2013. In her time at Eastman, Melissa completed Arts Leadership Program internships during the academic year with Biodance and Break of Reality. With Americans for the Arts, Melissa’s responsibilities will include key development duties such as prospect research, planning & execution of donor events and working on publications to name a few. The Americans for the Arts runs a robust intern program, and Melissa was selected for this internship as a result of a competitive process. All ALP alumni are eligible to apply for post graduate funding, which can provide the individual with up to $10,000 annually to further explore professional areas of interest that are in synch with the goals of ALP. Funding is distributed based on merit, and is first come-first serve. Funding will next become available for the 2014-2015 academic year. Read more about how to apply for funding and deadlines here. All ALP current students and alumni are eligible to apply for summer funding, which can provide the individual with up to $3,000 to further explore professional areas of interest that are in sync with the goals of ALP. Funding is distributed based on the strength of the application and a number of other factors. Funding will next become available for Summer 2014 in Spring 2014. Read more about how to apply for funding and deadlines here. Kelly Kasle attended the 2013 fresh inc festival sponsored by Fifth House Ensemble in Kenosha, Wisconsin, in June 2013. Her grant covered expenses associated with travel and conference registration. Philip Borter attended the 2014 Association of Performing Arts Presenters conference in New York, NY, in January 2014. His grant covered expenses associated with travel and conference registration. Lourdes (Lulu) Cossich shadowed acclaimed mezzo-soprano Joyce diDonato in New York, NY, in April 2014. Her grant covered expenses associated with travel and a special one on one dinner with Ms. diDonato. Read more about Lulu’s experience here (PDF). Andrew Psarris was selected to shadow the producers and multimedia engineers for the Eastman Wind Ensemble recording project in Rochester, NY, in May, 2014. His grant covered expenses associated with meals and a special one on one luncheon with the producers. Congratulations to ALP alumni Matthew Evans! 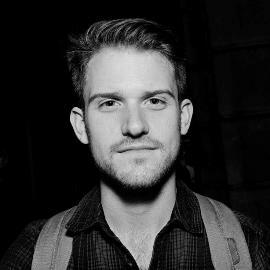 Matt, who will be based in New York City, was awarded ALP post graduate funding for his role as Production & Administrative Intern/Associate for Bang on a Can, Inc. for the 2012-2013 academic year. Matt received his MM degree (Performance and Literature, Percussion) and Arts Leadership certificate from Eastman in 2012. In his time at Eastman, Matt completed Arts Leadership Program internships during the academic year at the Eastman Office of Communications, and a summer internship for the Bang on a Can summer festival. Matt was president of Eastman’s student run new music ensemble Ossia for the 2011-2012 season while active in the Rochester area as both a composer and performer, specializing in contemporary music. He has performed as part of Bring to Light NY and the Make Music New York festival and his compositions have been presented at ArtAwake and the UnCaged Toy Piano Festival. With Bang on a Can, Matt’s responsibilities will include booking events for the Bang on a Can All-Stars, coordinating events related to the Bang on a Can Summer Festival and organizing specialized projects throughout the Bang on a Can 2012-13 season. 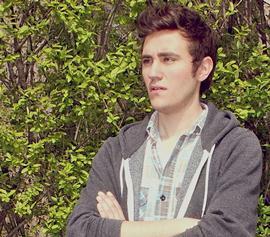 Hear more about Matt’s internship and what he has to say about ALP here. All ALP current students and alumni are eligible to apply for summer funding, which can provide the individual with up to $3,000 to further explore professional areas of interest that are in sync with the goals of ALP. Funding is distributed based on the strength of the application and a number of other factors. Funding will next become available for Summer 2012 in Spring 2012. Read more about how to apply for funding and deadlines here. Anthony Baron attended the 2012 National Association of Teachers of Singing conference in Orlando, Florida, in June 2012. Amy Wang attended the 2012 League of American Orchestras conference in Dallax, Texas, in June, 2012. Gabe Condon attended the 2012 Newport Jazz Festival in Newport, RI, in August 2012. Kelly Kasle and Jessica Wilkins attended the 2012 Association of Performing Arts Presenters conference in New York, NY, in January, 2013. Melissa Birkhold attended a performance of Break of Reality as their tour manager for the event in Platteville, WI, in February, 2013. Congratulations to ALP alumni Kathryn (Katie) Ernst! Katie was awarded ALP post graduate funding for her role as Jazz Links Education Program Intern for the Jazz Institute of Chicago for the 2011-12 academic year. Katie received her BM degree (Musical Arts/ Jazz Studies and Contemporary Media) and Arts Leadership certificate from Eastman in 2011. In her time at Eastman, Katie completed Arts Leadership Program internships at Jazz 90.1 and Pegasus Early Music. She also worked in the Institute for Music Leadership office with her main responsibilities focusing on the Eastman Gig Service and the Office of Careers and Professional Development projects. Katie’s honors while a student included the Susan B. Anthony Scholarship, Keidaen Senior Honor Society, Rogers Scholar, and the Paychex/UR Leadership Institute. Katie is active in the Rochester area as a freelance jazz singer and bassist. Most recently her trio was selected to participate in the Rochester International Jazz Festival. At the Jazz Institute of Chicago, Katie’s responsibilities will include helping to develop new and innovative ways of reaching jazz education students and program alumni. She will be coordinating monthly Jazz Institute Student Council Meetings and Jam Sessions, the Jazz Ambassadors Summer Camp, and maintaining the institute’s social medica presence. Read more about Katie on her website. Visit Academic Year Internships for more information. Matthew Aprea attended the 2012 Association of Performing Arts Presenters Conference in New York in January 2012. His grant covered expenses associated with his travel and hotel. Diane Hunger attended the 2012 North American Saxophone Alliance conference in Tempe, Arizona, in March 2012. Her grant covered expenses associated with her travel and hotel. Jiaqi (Jennifer) Li attended the 2012 Music Teachers National Association conference in New York in March 2012. Her grant covered expenses associated with her travel and hotel. There were no post graduate awards for 2010-2011. All ALP alumni are eligible to apply for post graduate funding, which can provide the individual with up to $10,000 annually to further explore professional areas of interest that are in synch with the goals of ALP. Funding is distributed based on merit, and is first come-first serve. Funding will next become available for the 2011-2012 academic year. Read more about how to apply for funding here. Scott Lykins attended the 2011 Chamber Music America conference in New York in January 2011. His grant covered expenses associated with his conference fees, travel and hotel. Matt Aprea attended the 2011 “Performing Awareness from Studio to Stage” workshop at the Performing Arts Medicine Association regional meeting in Toronto, Ontario in March 2011. His grant covered expenses associated with his conference fees, travel and hotel. Alison Moritz attended the OPERA America 2011 conference in Boston, MA in May 2011. The theme of this year’s conference was “Opera Entrepreneurship: Building on Tradition.” Her grant covered expenses associated with travel and hotel. Kate Lemmon and David Weygandt were chosen to participate in UR’s Paychex Leadership Institute, held in January, 2011. They were nominated based on their leadership potential via their participation in ALP. The Institute, open to all undergraduates, helps students develop effective leadership skills through a day-long program of interactive workshops and activities. Grace Choi will be taking on the role of Public Relations Intern for Dallas Chamber Music in Dallas, Texas Grace’s responsibilities will include coordinating concert program and sponsorship for the 65th season and overseeing concert detail information uploaded to 20 different social and event calendars and web sites in Dallas. Grace is completing in May a MM in Piano Performance and Pedagogy from Southern Methodist University and received her MM in Music Education and Arts Leadership Program certificate from Eastman in 2007. While at Eastman, Grace completed ALP internships with the Office of Development at Eastman and the Department of Education and Outreach at the Rochester Philharmonic Orchestra. Click here for more information on Dallas Chamber Music. Rey David Cortes will be taking on two roles. One as Assistant to the Director of Red Cultura, SA and the other as Artistic Producer for Universidad Nacional. Both are in Costa Rica. Rey’s responsibilities at Red Cultura, SA will include supporting the Multimedia Production and Marketing and Publicity departments with multimedia production for the web, digital journalism fundamentals and marketing for the arts. At Universidad Nacional he will be assisting with the basics of orchestra management and production including artistic administration logistics and grant application collaboration. Rey received his MM in Performance (Euphonium) and Arts Leadership certificate from Eastman in 2008. While at Eastman, he completed an ALP internship with the Technology and Media Production Department. Rey has also been working for the past year in the Institute for Music Leadership, handling technology responsibilities associated with Polyphonic.org, e-course implementation and other entrepreneurial endeavors. Click here for more information on Red Cultura. Steve Danyew and Ashley Garofalo attended the Americans for the Arts Convention in Seattle, Washington, in June 2009. Their grants covered expenses associated with conference fees, travel and hotel. Doris Lee attended the 2010 Association of Performing Arts Presenters Conference in New York in January 2010. Her grant covered expenses associated with her travel and hotel. Liu Liu attended the 2010 Chamber Music America conference in New York in January 2010. Her grant covered expenses associated with her conference fees, travel and hotel. Katie Ernst was one of only 2 students awarded the Susan B. Anthony Scholarship for 2010. The Susan B. Anthony Scholarship is given to a woman in her junior year who has demonstrated leadership, academic excellence and commitment to her fellow students and community. Nicole Cragin was chosen to participate in UR’s Paychex Leadership Institute, held in January, 2010. She was nominated based on her leadership potential via her participation in ALP. The Institute, open to all undergraduates, helps students develop effective leadership skills through a day-long program of interactive workshops and activities. ALP students Catherine Branch (PDF), Doug O’Connor (PDF) (as a member of the Red Line Saxophone Quartet), and Lydia Zotto (PDF) were highlighted as part of President Seligman’s “Celebrating Our Students” presentation at the President’s Garden Party on May 18, 2010. Congratulations to ALP alumni Lauren Woodward! Lauren was awarded ALP post graduate funding for her role as Operations and Community Engagement Intern for the Memphis Symphony Orchestra for the 2008-09 academic year. Lauren received her BM in Music Education (piano) and Arts Leadership certificate from Eastman in 2007. She was an Early Childhood Music teacher at the Eastman Community Music School from 2005 to 2007, and completed student teacher assignments at Barker Road Middle School (Pittsford) and The Harley School. In 2007-2008 she worked as an Aupair for a family near Madrid, Spain and traveled throughout Europe. Maria Kanakis attended the League of American Orchestras’ Orchestra Leadership Academy seminar, Essentials of Orchestra Management, in New York in January 2009. Her grant covered expenses associated with her tuition and travel while in NYC. Liu Liu attended the 2009 Association of Performing Arts Presenters Conference in New York in January 2009. Her grant covered expenses associated with her travel and hotel. Abigail McHugh attended the 15th World Suzuki Convention in Melbourne, Australia in April 2009. Her grant covered expenses associated with her travel, hotel and conference enrollment. Lydia Zotto was one of only 2 students awarded the Susan B. Anthony Scholarship for 2009. The Susan B. Anthony Scholarship is given to a woman in her junior year who has demonstrated leadership, academic excellence and commitment to her fellow students and community. Joining an elite group of leaders and students from music schools across the country to participate in a conference on “Preparing the Generation-E Musician… The Place of Entrepreneurship in the Higher Education Music School Curriculum” were Katherine Crowe, Steve Danyew, Ashley Garofalo, and Samuel Krall. Ashlee Bickley, Samuel Krall and Lydia Zotto were chosen to participate in UR’s Paychex Leadership Institute, held in January, 2009. They were nominated based on their leadership potential via their participation in ALP. The Institute, open to all undergraduates, helps students develop effective leadership skills through a day-long program of interactive workshops and activities. ALP alumni Jeffrey Meyer was awarded ALP post graduate funding in support of his role as Symphony Manager for the Cleveland Youth Wind Symphony for the 2007-08 academic year. Jeff was working on a DMA in Music Performance and Literature at the Cleveland Institute of Music at the time. He received his BM in Performance and Literature (tuba) and Arts Leadership Program certificate from Eastman in 2004; and his MM in Music Performance and Conducting from Kent State University in 2009. Matilda Hofman was asked to conduct the Winnipeg Symphony Orchestra as a direct result of her ALP Special Opportunity Grant. Matilda participated in a Conducting Symposium which had elements of ALP related topics and she was funded for some of her travel expenses with a grant. Networking at its finest! Read more about Matilda’s experience here. Na Ri Hong attended the 2008 Chamber Music America Conference in New York in January. Her grant covered expenses associated with her registration, travel and hotel. Rey David Cortes attended the “Legal Workshop for Musicians and Those Who Work With Them” sponsored by the Arts & Cultural Council for Greater Rochester, on Friday, December 7. The grant paid for his course registration. Christopher Van Hof acted as assistant to Professor Carlos Sanchez-Gutierrez in preparation for a special recital he did in November 2007, and the grant provided monetary support for the hours he dedicated to the project. Rick Williams was awarded a special internship with the Rochester Philharmonic Orchestra working on the marketing, promotion and distribution of their soon to be recorded and released CD, HONOR: AN AMERICAN SALUTE, produced by Jeff Tyzik. Maria Kanakis, Rick Williams, Natalie Spehar and Erin McPeck were chosen to participate in UR’s Paychex Leadership Institute, held 01.26.08. They were nominated based on their leadership potential via their participation in ALP. The Institute, open to all undergraduates, helps students develop effective leadership skills through a day-long program of interactive workshops and activities. Philip Borter, Ryan Glick and Rick Williams were chosen in a competitive process to participate in a special forum on careers in music performance: Convening Student Perspectives and Creating New Models for the 21st Century. This gathering, held on the weekend of October 12-14, 2007, brought together 40 students from the nation’s top music schools and conservatories together with a select group of young established artists and leaders in the field who are forging new pathways in classical music presentation. Participants included Eric Booth, Eighth Blackbird and the Chiara String Quartet. More information about the forum can be found at the Shepherd Careers Forum website.